Business Cards and Graphic Design Special! Get your message out using our quality Brochures. Graphic Design available. FAST shipping in Canada. Attending a trade show, vendor show or presentation and looking for to give your brand an edge? Our 6′ Standard Throw Tablecloth might be just what you need! Visit our Promo eStore and browse our large selection of printed tablecloths and table runners. Comments Off on Attending a trade show, vendor show or presentation and looking for to give your brand an edge? 12mil PVC banner ideal for trade shows, point of sale or presentations. Comes with nylon carry case. Visit our Promo eStore and browse of large selection of banner stands, replacement banners, tablecloths, floor graphics, inflatables, canopies and more! Contact us for more information (613) 920-2318 or sales@anythingprinting.ca. We are expanding our Partner Network throughout Canada and we are looking for some extraordinary people that are wanting to increase their products/ service offerings, build greater value with their customer base and earn additional monthly income. Our Partner Network has the option to sell a specific product category or they can offer our full suite of products and services. If a partner requires a print product or service that we currently do not provide we can source it for you. There is minimum to no investment required to become part of our Partner Network. We offer a tier earning program to our Partners and that means the more you sell the more you earn! If our opportunity sounds intriguing to you and you believe we can add value to your business contact us at sales@anythingprinting.ca. Let us know how we can be of most value to your business. We look forward to working with you and becoming your go to Print partner. Anything Printing – We make printing simple! Business forms are an extension of the branding or marketing for your business. Forms are commonly used in service and hospitality environments and include work order forms, invoices, repair orders, sales slips, time tickets, trucking mileage books, bills of lading, receipt books, expense forms, material and labour records. Business forms can be purchased as stock printed forms or you can create a custom printed form including your logo, business information, branding and more. a) Stock business forms – Are available in a variety different layouts and designs. You can easily add your stamp or label. b) Custom printed forms – Designed and printed to match your business branding including full colour printing. Business forms save you time and money. You can personally invoice your customers. Business forms also keep your records in order and make it easier for your accountant to record your transactions. HOW TO USE BUSINESS FORMS? First you need to determine the purpose and use of the form. Which department will be using the form? What information does is that department responsible to record? What is the process for the form? Will you be filling the form out by hand or use a computer? How many people require a copy of the form? How many forms do you need? We offer a large selection of stock business forms for a variety of industries and we can fully customize a business form to meet your business goals and requirements. Having all your business forms, office supplies, print marketing, promotional materials, signage etc match is very important. Using quality materials and being consistent with your business message are crucial to building a quality brand. We can assist with creating your printing marketing campaign including your business forms, business cards, letterhead, envelopes, cheques, item tags, packaging materials and more. We are proud to introduce our new HP 83X High Yield Remanufactured toner which offers approximately 2,220 page capacity at 5% page yield. Replaces the LaserJet Pro 1606dn, which uses the CF283A/ CF283X toner. Rigorous Advanced Lifecycle Testing™ that includes environmental chamber testing, pre and post-production testing, ISO 19752 testing and OEM benchmarking to ensure our cartridges meet or exceed OEM performance. Increased dealer margins with savings of up to 30% over the OEM. All products are IP cleared – All resellers are indemnified against OEM litigation. Proprietary robotics and process automation for remanufacturing equates to a higher success rate. 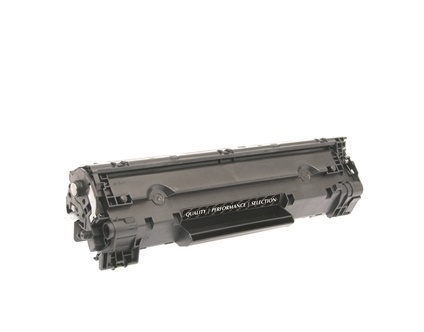 We offer one of the largest selections of QUALITY remanufactured cartridges and toners in Canada. Our products are second to none in quality, we offer great pricing everyday and we offer next day delivery throughout Canada on in-stock products. SAVE $10 on your first order over $100 before tax. Use code PRINT10. Contact us with all you laser and inkjet printer needs today sales@anythingprinting.ca. BROTHER, CANON, EPSON, EPSON POS, FUJIFILM, FUJITSU, HEWLETT PACKARD, KONICA MINOLTA, KYOCERA/ MITA, LEXMARK, MICR PRINT SOLUTIONS, OKI PRINTING SOLUTIONS, PANASONIC, PRIMERA, PRINTEK, PRINTRONIX, RICOH, SAMSUNG, SHARP SUPPLIES, TOSHIBA, TROY GROUP, XEROX and more.